The summer sun is on its way. It brings healthy sunshine that sharpens the mind, stimulates the skin to make vitamin D and yields a wealth of other health benefits – including a happier mood! But not if you get sunburned. That damages skin cells and makes you more vulnerable to cancer. Luckily, there’s a nutrient that helps your skin ward off damage from the sun. Anyone who enjoys a day at the beach or an afternoon in the park needs this natural chemical in their diet. Keep reading for more. . . Skin cancer is a serious menace. By the time you get into your 70s, you’ve got a one in five chance of having skin cancer. That’s quintuple your chances of either breast or prostate cancer. More than a million people a year in the US get treated for skin cancer at a cost of over $8 billion dollars. Admittedly, most of those cases are basal cell carcinomas, a very mild, non-life-threatening form of cancer. But BCCs still require surgery and stitches, and leave a scar. Or you can resort to a home treatment that also leaves a scar and (in my view) involves some risk of infection. A moderate amount of sun – just enough to let your skin make vitamin D, but not enough for a sunburn – is good for you. But it’s hard to strike the right balance and avoid a burn, and even a very slight burn is damaging. A natural phytonutrient called lycopene helps protect against skin cancer — and other cancers, too. Lycopene is the natural red pigment that gives foods like tomatoes and watermelons their red color. You may have heard it helps reduce the risk of lung cancer. Recent research suggests it can do much more. Getting plenty of lycopene may also help the body defend itself against breast cancer. In a study on postmenopausal women, who were at an increased risk of breast cancer because they were significantly overweight, eating a tomato-rich diet helped regulate sugar metabolism and the body’s processing of fats in ways that lowered the chances of cancer. The women in this study ate tomato products – like spaghetti sauce – every day for ten weeks. Their daily consumption was at least 25 mg of lycopene, the amount that’s in about two tablespoons of tomato puree. That’s not too hard for the average person to achieve. Another crucial benefit of lycopene is the way it helps your liver stay healthier and lowers your risk of cancers linked to the build-up of fat in this organ. Lab tests at Tufts University demonstrate that tomatoes rich in lycopene may be able to reduce NAFLD, lower inflammation and shrink the risk of liver cancer.9 However, if you have liver problems because you imbibe too many alcoholic drinks, they warn against taking high doses of lycopene supplements – the combination of purified lycopene and alcohol can make liver problems worse.10 But even if you’re a problem drinker, consuming tomatoes and cooked tomato products is perfectly safe. 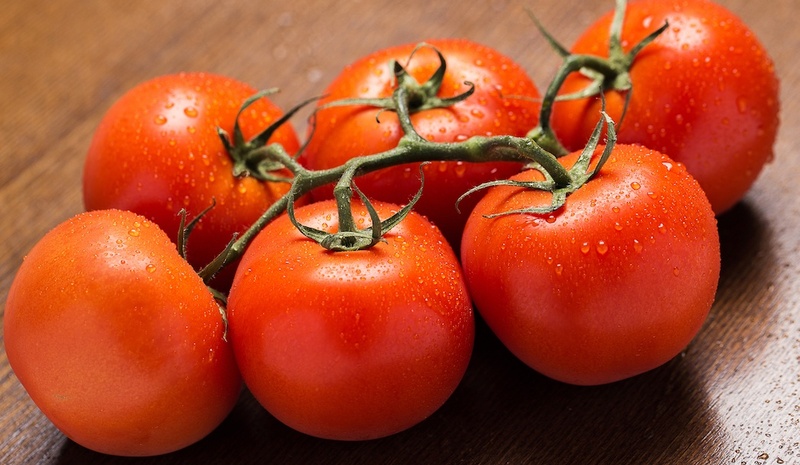 In other words, lycopene is one of the rare nutrients that is not damaged by cooking. This makes it easier to get the nutrient in food vs. taking a supplement. It takes a lot of fresh tomatoes to hit the desired daily lycopene intake, but concentrated tomato products like sauces and pastes require less. Catsup qualifies, too, but be wary of the large amounts of sugar often included in these processed tomato products.